Control will introduce us to a new Remedy protagonist. Her name is Jesse Faden and the lovely actress Courtney Hope will portray her. Hope is no stranger to many in the Remedy community. 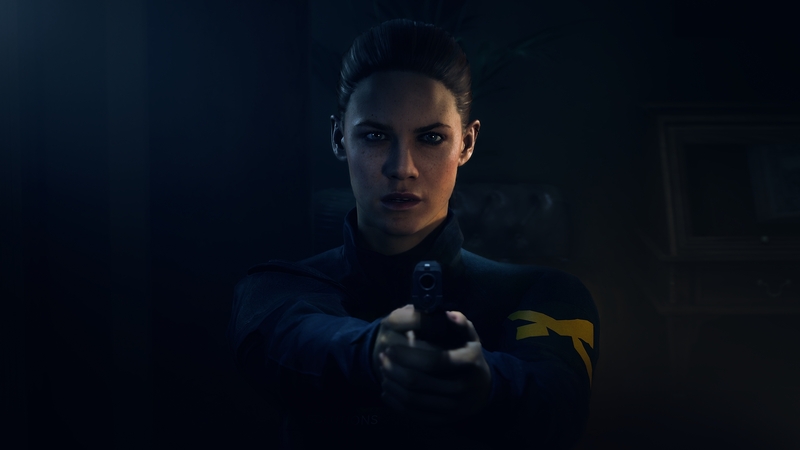 She had an integral role in the narrative of Quantum Break, in which she portrayed one of Monarch’s top Security officers called Beth Wilder. While Quantum Break starred many talented actors, fans and critics agreed Hope’s contributions were one of the game’s highlights. Control is not the first Remedy title in which we get to play as a female hero. You might recall Max Payne 2: The Fall of Max Payne featured various levels in which we got to play as Mona Sax. The femme fatale who decided to aid our titular hero on various occasions. Control is the first Remedy game that will solely feature a female protagonist though. Remedy has a thing or two they would like to share with us about their new hero. A new entry in the development diary series was just released. This time it is all about Jesse. Some key behind the scenes people are featured in this video to talk about our new hero. People who all had in influence in bringing her alive: Courtney Hope (Jesse Faden’s Actress), Eevi Korhonen (Narrative Designer), Mikael Kasurinen (Game Director), Heli Salomaa (Costume Artist) and Sam Lake (Creative Director). The video yet again gives great insight in how Remedy’s new game is coming together.